On December 22, 2017, President Trump signed the Tax Cuts and Jobs Act into law. This sweeping overhaul has far reaching effects, touching almost every aspect of American life. While the bill lowers tax rates for virtually everyone, it also eliminates or at least caps many popular tax deductions. One of the provisions of particular concern to divorce attorneys and their clients changes the 75-year-old regulation regarding alimony (also called spousal support) payments. This new law applies to all divorce or separation agreements executed after December 31, 2018. Before the Tax Cuts and Jobs Act was signed into law, the spouse paying alimony was able to deduct the amount from his or her taxes. Alimony was then considered taxable income to the recipient. Under the new law, however, alimony paid is no longer deductible, and alimony payments received will no longer be taxable. This is similar to how child support payments were (and will continue to be) treated. The Joint Committee on Taxation has suggested that abolishing the alimony deduction could add as much as $6.9 billion in new tax revenue over the next decade. However, the government’s tax windfall comes at a cost to tax paying divorcees. It seems unclear exactly how many people pay or receive spousal support each year. Internal Revenue Service figures for 2015 indicate that 361,000 taxpayers claimed to pay alimony, totaling $9.6 billion (although in that same period, only 178,000 taxpayers reported receiving spousal support, a discrepancy that has frustrated the government for years). The Census Bureau, on the other hand, places the number of alimony recipients at 243,000. Whatever the precise number, the tax overhaul will affect a broad swath of Americans. Divorce attorneys estimate that the amount of alimony paid under the new tax overhaul may well be between 10-15% less than recipients would have received prior to its inception. 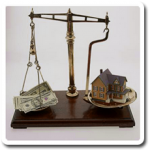 Consequently, the manner in which divorce settlements are negotiated will change radically. Under the previous law, a higher wage earner would often agree to pay a larger amount of alimony because the tax deduction he or she would receive would partially offset the higher amount. That deduction served as a powerful incentive to offer in the negotiation process. Now that the deduction is no longer on the table, divorce attorneys are working closely with their clients who feel pressure to complete negotiations and sign divorce or separation agreements before the December 31, 2018 deadline. Additionally, some prenuptial agreements have alimony provisions that assume the tax deduction. Consequently, even though a prenuptial agreement may have been signed well before the December 31 deadline, it may still need to be renegotiated to account for the tax law change. The tax overhaul seems to effectively take money away from spouses who are already experiencing the trauma of divorce, adding additional financial pressure to what is already a very painful situation. Of course, each divorce presents its own unique challenges. Alimony is just one factor among many that determines what will happen to a divorcee at tax time. An experienced divorce attorney will look at each situation on a case by case basis in order to ensure the best possible scenario for each individual client. Deciding Which Spouse Gets the House in a Divorce Who Gets Pet “Custody” In a Divorce?